No need for a long explanation, of course most of you know with this 5 star hotel in Jakarta. Hotel Mulia is one of the classy hotels that has been operating in Jakarta for a long time with its magnificent buildings, lavish lobbying and of course the quality of the hotel that need not be doubted. This time, the good news for culinary lovers with the arrival of Sam Leong, a chef and restaurateur from Singapore with a classy restaurant that is called Forest. A year ago I had visited his really elegant restaurant in this Merlion land. 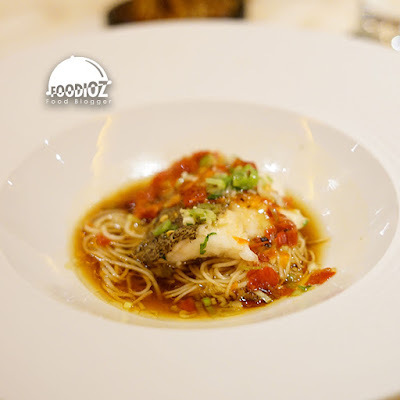 He is currently on the list of Michelin Guide Singapore, one of the world class culinary award that deserves thumbs up. 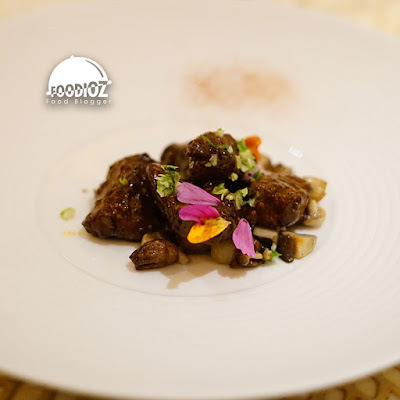 His arrival this time brings a variety of creations of modern Chinese cuisine but still with a delicious classic flavor. 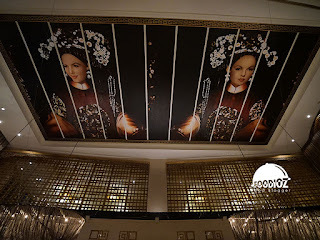 The event takes place in Table 8 restaurant, a chinese restaurant with an authentic interior concept, a chinese-style element so dominant, deep dark brown colors coloring the whole restaurant, chinese ornaments and decoration lining the sides and marble tables give a very luxurious touch. 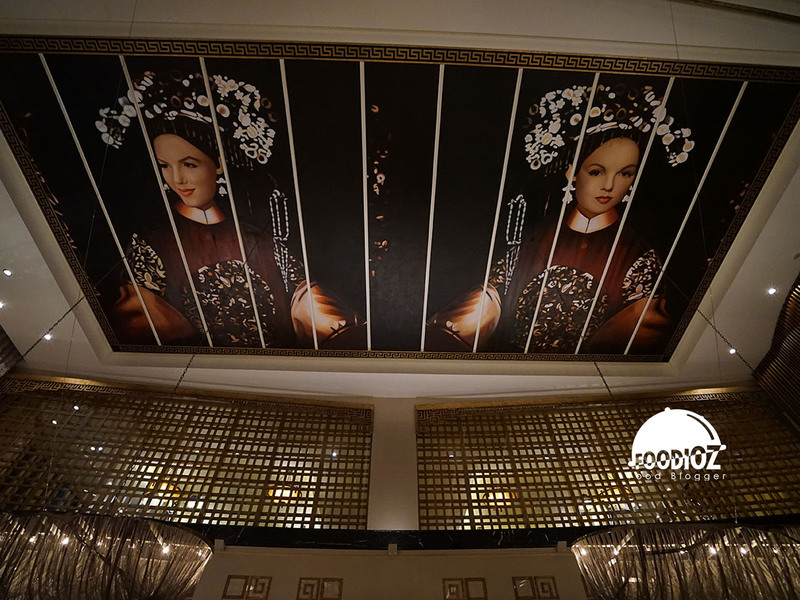 Not forgetting the interesting ceiling with the painting of a charming princess. At this dinner event, we will be served with 6 menus from amuse to dessert. 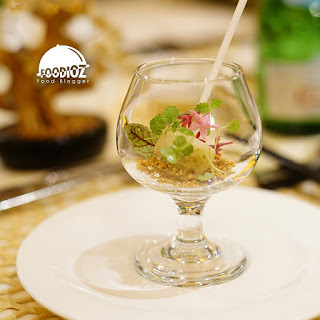 The first menu served was Lollipop Pear Crostini, a small ball-shaped pear served in a beautiful glass, complemented by roasted mixed nuts that were smoky and edible flowers. Taste for fresh pear combined with a crispy texture of nuts is very tasty and enhances appetite. The second menu is not less beautiful, Duo Prawns Coated, two pieces of shrimp served each with different sauces namely, wasabi mayo and the other salted egg cream combined with tangy mango salsa. 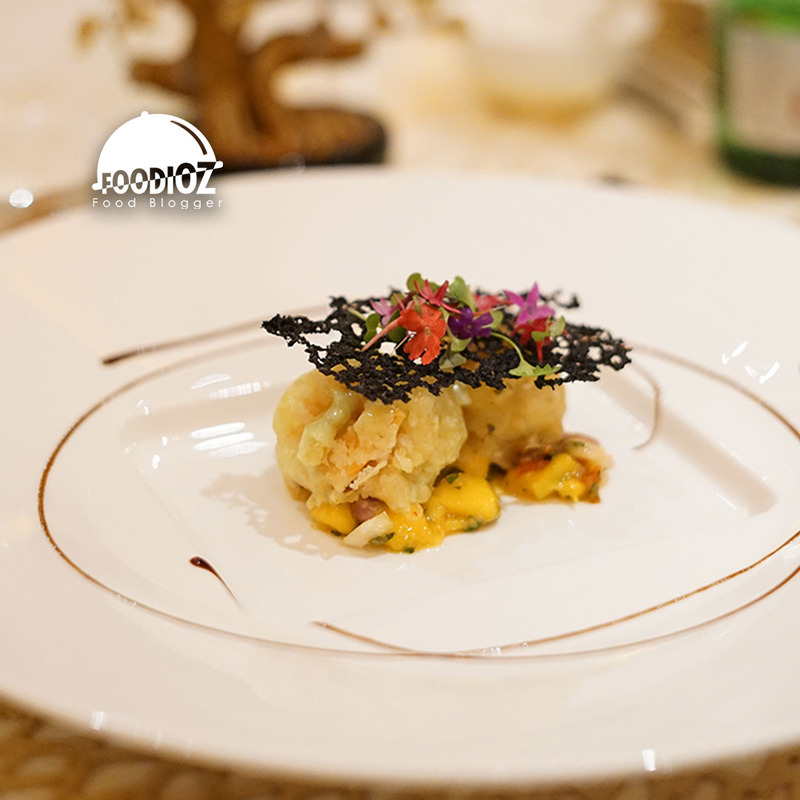 Shrimp with a soft texture, a fresh aroma combined with a savory sauce and do not forget to be equipped with squid ink that form a net on it. 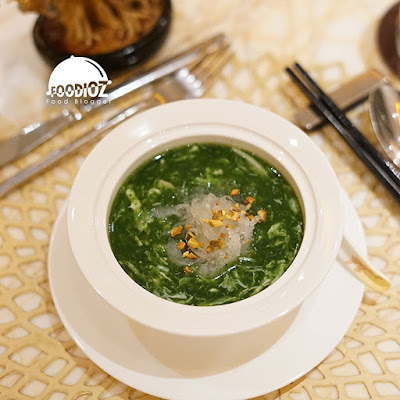 Next, we were presented with something that is warm and juicy, Spinach Broth Infused Superior Bird Nest, a green soup dish from spinach combined with a soft bird nest and there is a layer of chawanmushi underneath. Fragrant aroma, a light flavor and a thick spinach make this soup fresh to eat. After enjoying the soup, we were served the main menu, Steamed Live Garoupa, freshly processed fish with a savory dark sauce and served with a tasty la mian. Fresh fish flavor and soft texture are very delicious combined with la mian and a few pieces of chilli that give a little spicy sensation. The other main menu is Wok-Fried Wagyu Beef, highlighting the dominant chinese taste. Wagyu meat processed with black pepper cream, then served along with some pieces of mushrooms and onions. Wagyu texture is tender, seasoning flavors are very tasty and delicious. It's a star at this dinner show indeed. After enjoying some dishes, the last menu is dessert with Chilled Avocado Cream. 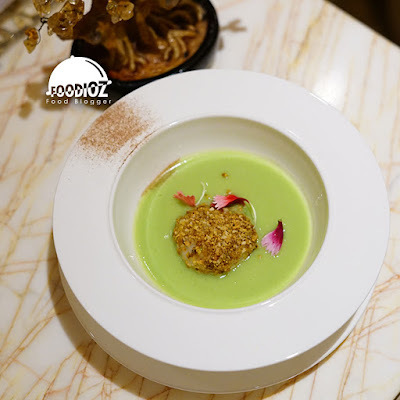 A bowl of cream thick with pastel green color of avocado served with a sesame seed dumpling equipped with macadamia nuts. Sweet taste is not excessive, the texture of the density that fits make this dessert delicious. This dinner experience certainly feels perfect with satisfying service. 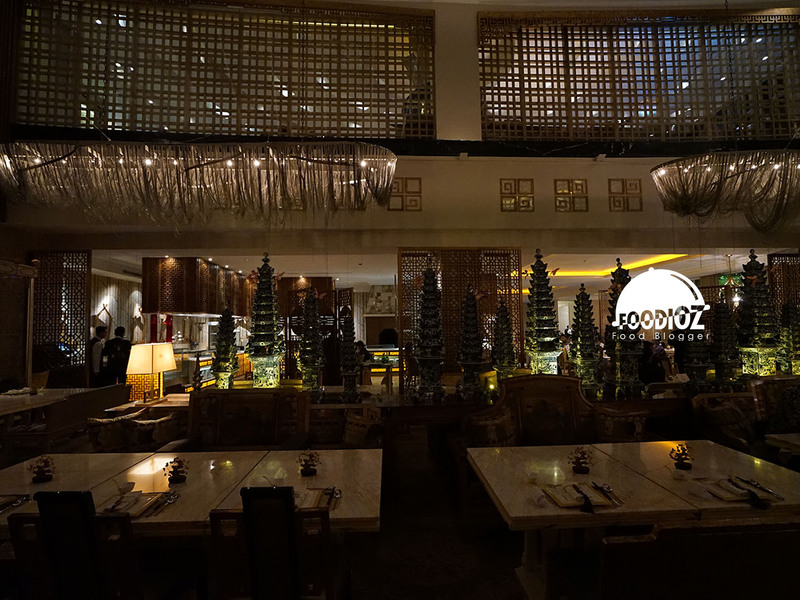 The atmosphere of the restaurant is crowded and high enthusiastic look of the customers to meet with Sam Leong. 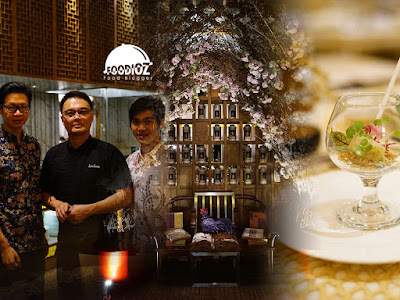 He is a very friendly, humble person, and of course he presents unquestionably quality food. The entire food served has an amazing presentation and perfect taste. 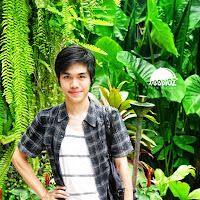 For you who are curious of course not to worry, you can visit his restaurant, Forest at Sentosa guaranteed satisfactory. A full-time Food Blogger & Social Media Influencer who has been travelling overseas with huge enthusiasm exploring culinary world. 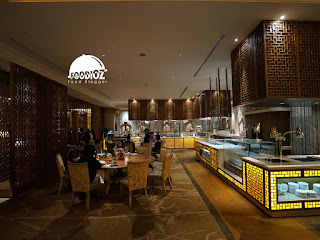 Living in Jakarta with variety of culture and food style and starting blog since 2014 early. With couple of year experience, he has good references and inspiration in food photography & writing.